Programme for April and May meetings. 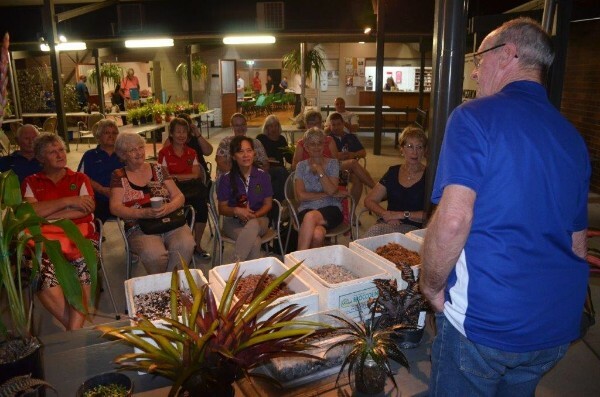 The Meeting started with the Information Session with Barry Kable on Potting Mixes. Barry prepares his potting mixes, stores them in polystyrene boxes with lids so they are ready for use for a period of time. 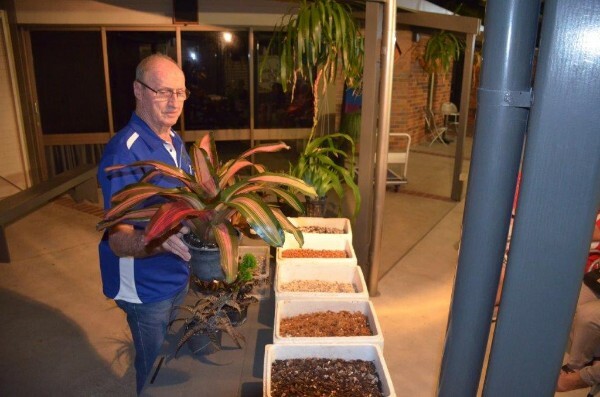 His basic potting mix is a combination of small and medium sized bark pieces and perlite. He also has a prepared mix of sphagnum moss which he hydrates by soaking in water and then allows the mix to dry out until when squeezed with the hand firmly only a few drops of water escape. This mix is also stored in a firmly sealed polystyrene box. He notes when using the moss as a mix that it can be loosely or firmly packed into the pot. For some growers the loosely packed moss retains water longer which is detrimental to their growing style, but the same is true of tightly packed pots which may dehydrate because of the grower’s conditions. 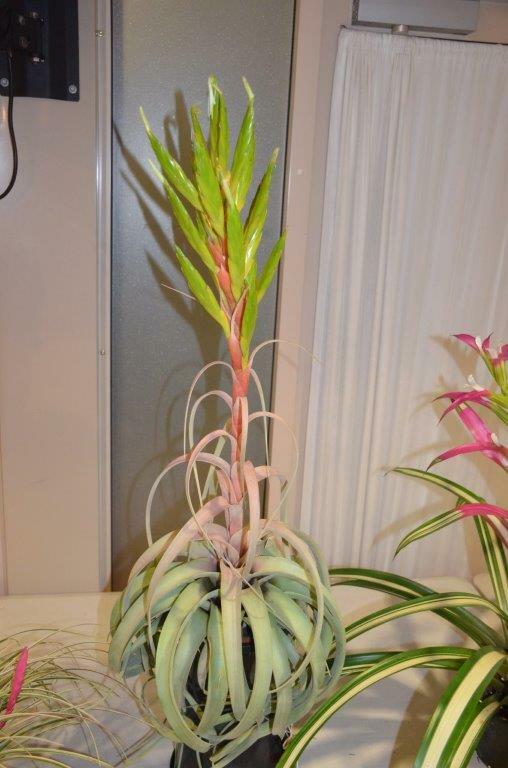 This mix is for plants that like water, for example Cryptanthus. Barry puts gravel on the top of the mix to prevent the growth of moss and fungi on the surface of the mix. Barry also warned members that if the mix dries out completely, it is difficult to rehydrate. The pot needs to be weighted down and inserted into a bucket of water for a few hours. (Alan Phythian noted that a couple of drops of dishwashing liquid will speed up the rehydration time). 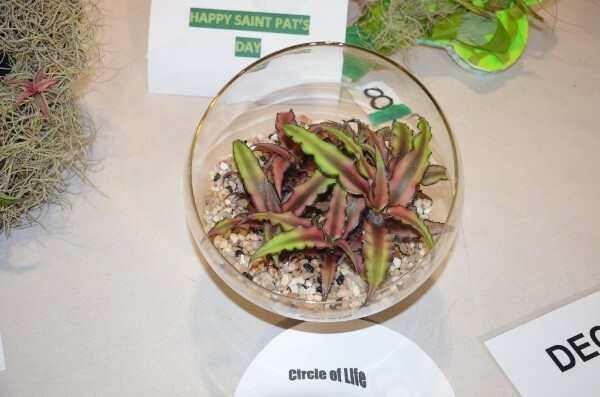 Barry also has a prepared mix of peat moss and perlite which he uses, as this mix also retains water. Peat moss is easily prepared by putting into a container and pouring boiling water onto it and mixing together or putting the mix and water into a microwave for 2 minutes on High (which will sterilize the moss). This can be used for seed raising. He also uses diatomacous earth in one of his mixes. Barry loves to experiment with mixes. He is currently using clay balls in see through containers so that he can see the root formations, and other changes. One plant has been growing strongly for 2 years in this mix. Barry stressed that he knows what works for him and it is wise for growers to experiment until it works for them. 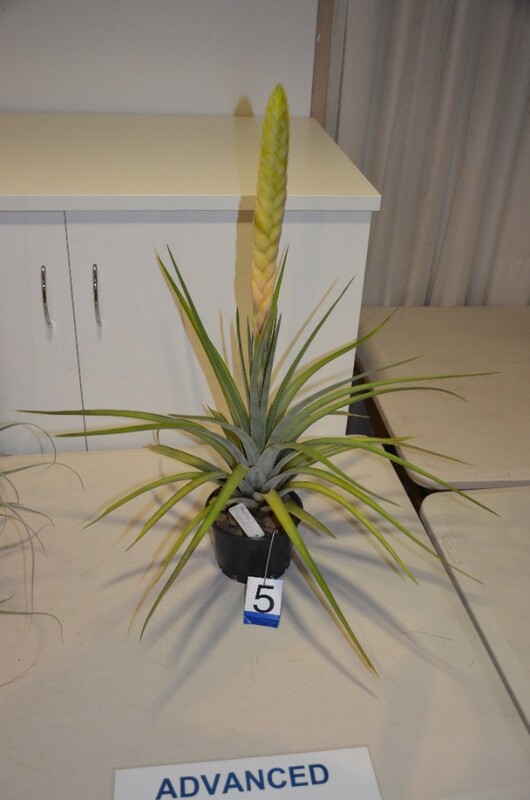 Do not experiment with the majority of a collection, just choose a few plants so that if the method does not suit your growing conditions, only a few plants are lost – not the whole collection. Patron’s Day Sunday 6 May at The Olive Branch, between 9:30am and 2:30pm. 232 Canvey Road, Upper Kedron. 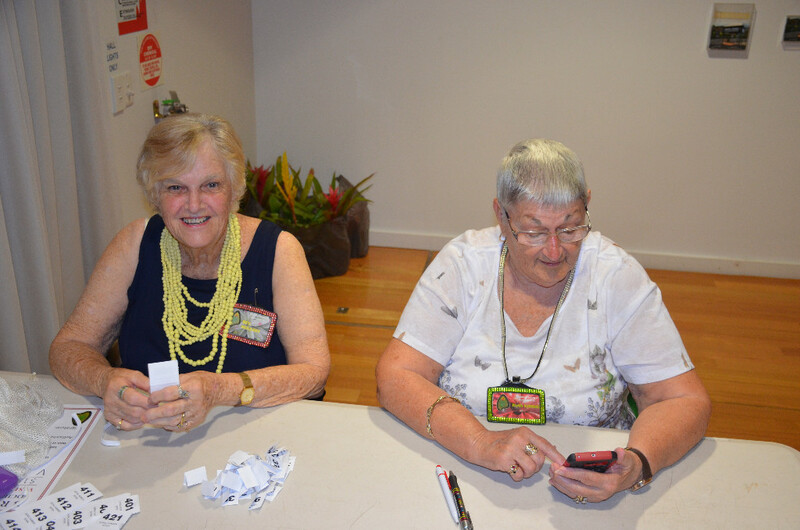 Photos for Competition to be sent to secretary@bromsqueensland.com.au accompanied by a Show Schedule. Entries close 12 noon Wednesday 18th April. Show times are 8am to 4pm Saturday and 9am to 1pm Sunday. Pre-sales from 3:30 to 5:30pm Friday is ONLY for volunteers on the roster. 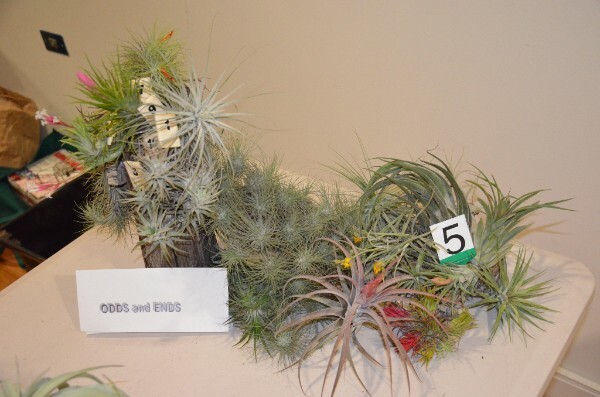 Plants entered into any competition must be owned for at least 6 months. All proceeds from the Monster Raffle will be donated to the Friends of Brisbane Botanic Gardens and Sherwood Arboretum. 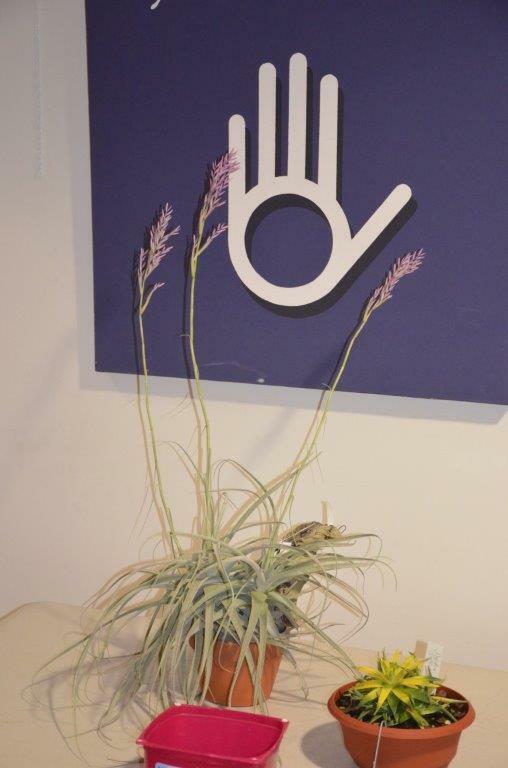 Selling of offsets is permitted, but the majority of sales plants need to be potted. Set up is from 12 noon on Friday 20 April at Genesis Christian College, Youngs Crossing Road, Bray Park. 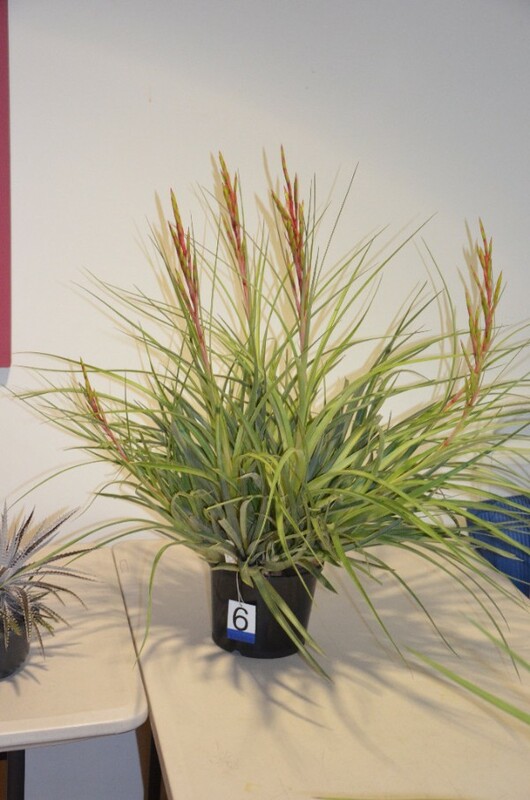 Competition plants need to be entered between 12:30pm and 2pm on Friday afternoon. Judging starts at 3pm Friday. 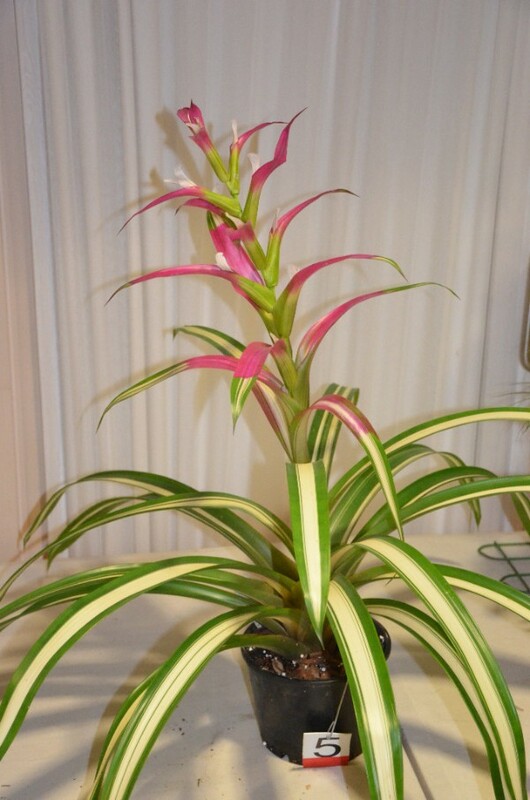 Display plants are needed in quantity. 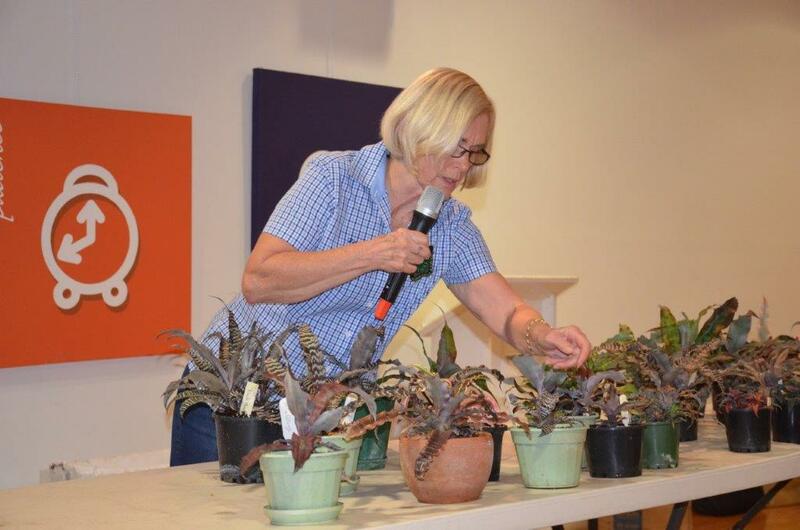 Amanda says that the plants do not need to be in tip-top condition, but high numbers are needed to make an attractive display. Further information is available on the Facebook event. The AGM will be moved to March for ease of fulfilling the requirements for the Office of Fair Trading. The extra month will enable the books to be audited and a report prepared for the AGM. 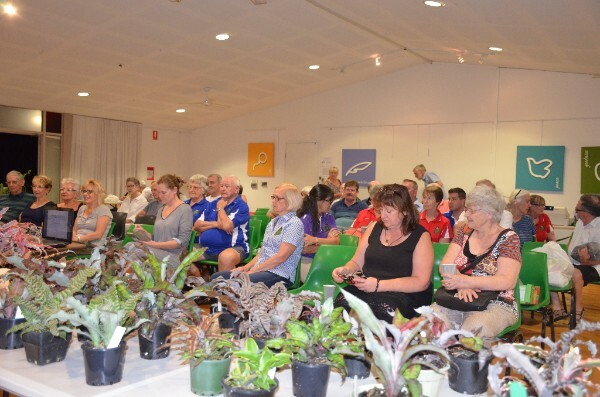 Narelle Aizlewood addressed the meeting informing the members of the upcoming Golden Broms Conference to be held at the Gold Coast in 2019. She notified the members of the birthday of Herb Plever (US) who turned 94 today. Narelle thanked BSQ for their donation of $500.00 to the Conference Fund. 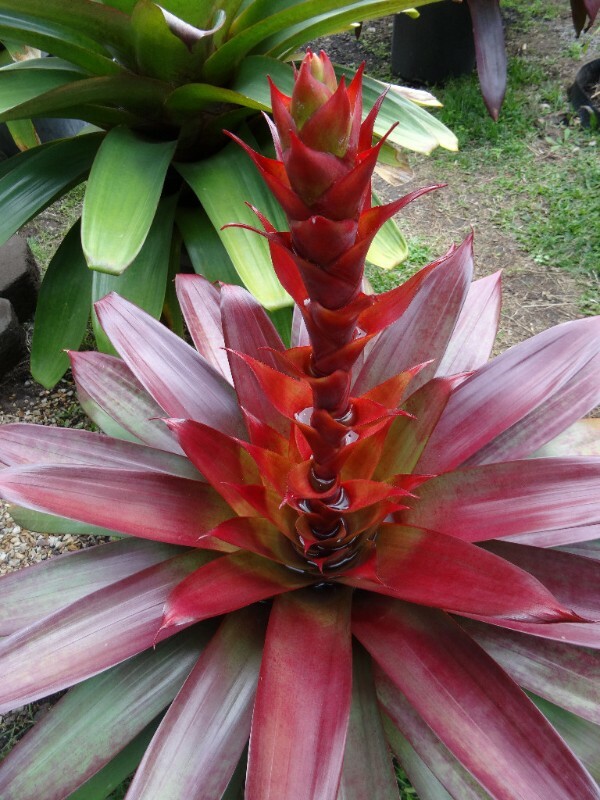 The majority of Cryptanthus come from Brazil. 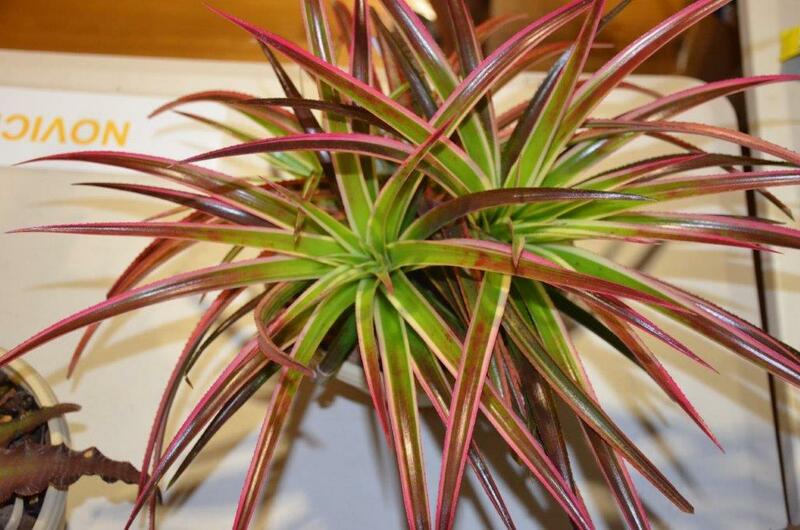 Cryptanthus like food and moisture and the best potting mix to use is African Violet mix. 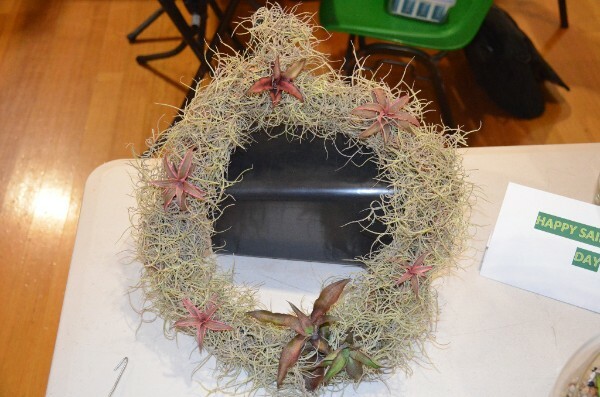 They like to be grown on the ground so Pam grows them under her benches in her Tillandsia house. 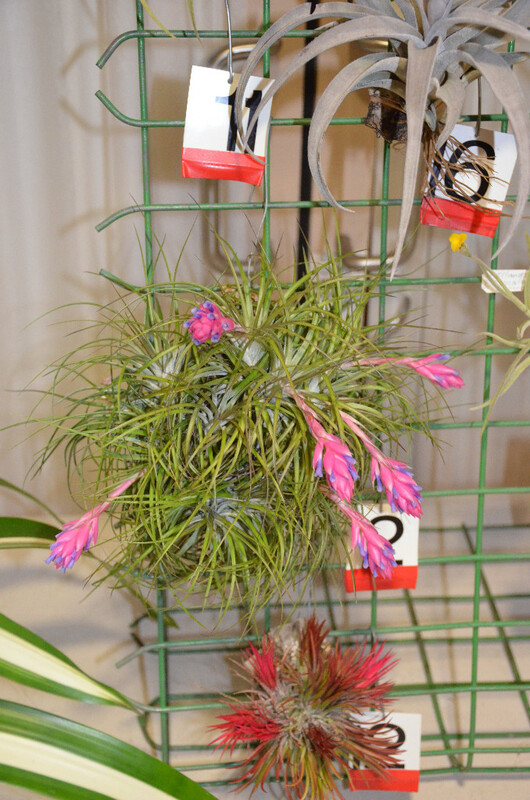 There was a large selection of species and hybrid Cryptanthus on display. See the BSQ instagram page for photos. Be creative - don't be boring. Lisa suggested a self timer is a good thing and she showed us the small remote that she had received at the Uni. These sell quite cheaply online. 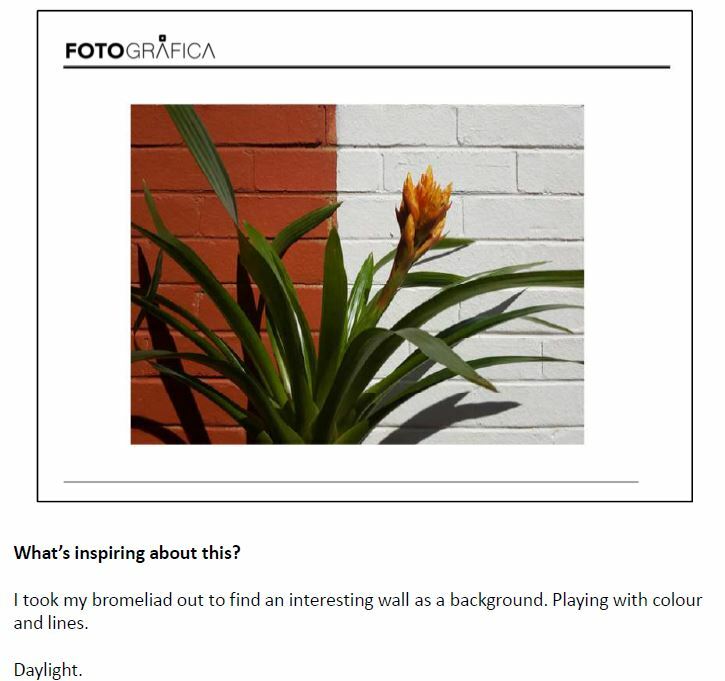 Then Lisa showed different photos that demonstrated how to use plants and props to create unique photographs, and how to play around with colour to give different moods to the photographs. 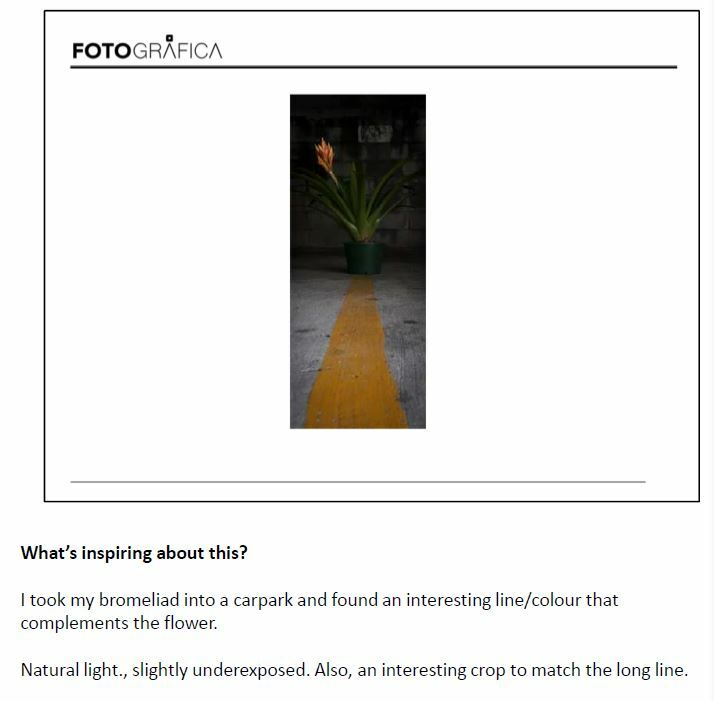 Her bromeliad was taken on a tour of the city and into shops to demonstrate what can be achieved with little or no extra or specialist equipment. A couple of the photographs she took are shown below. One of the photos demonstrated the use of a softbox. 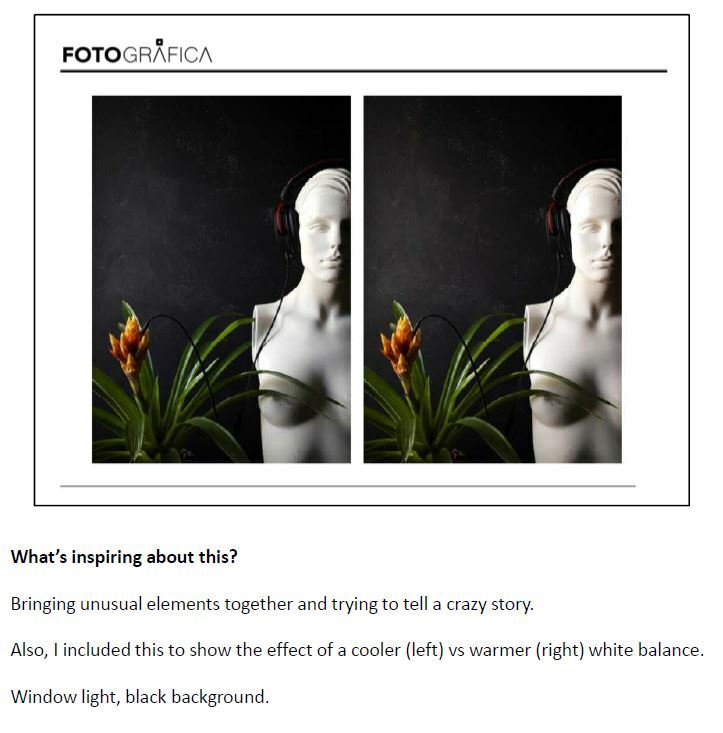 This was just a diffused window light or any light that has been diffused using fabric in front of the light. Lisa suggested that experimenting is a good way to see some alternatives - move the subject closer or further away from the light. She recommended Snapseed app (free) as a way of experimenting with different uses of the phone. This is available for both iPhone and Android. There are other apps that can be used and some that charge a fee to download. 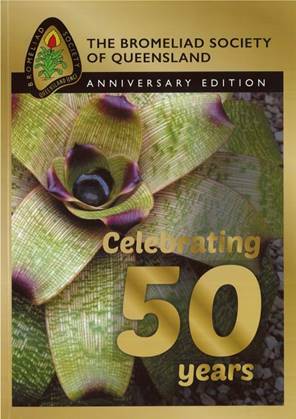 The 50th Anniversary Edition of Bromeliaceae is available now. Get your copy at our next meeting this Thursday, or at the Autumn Show. Alfonso Trudu's Sincoregelia 'Galactic Warrior'. Saturday 22nd April at 8am to 4pm. Sunday 21st April at 9am to 1pm. More information on the BSI website. 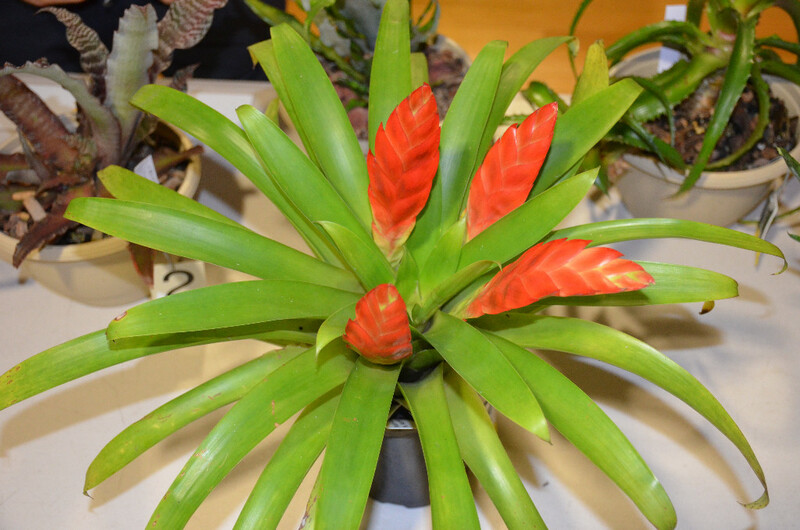 The Australasian Bromeliad Conference will be held on the Gold Coast 17-20 October, 2019. More information on the Golden Broms website. Practical Session: Peter Tristram will share his experience with Neoregelias. 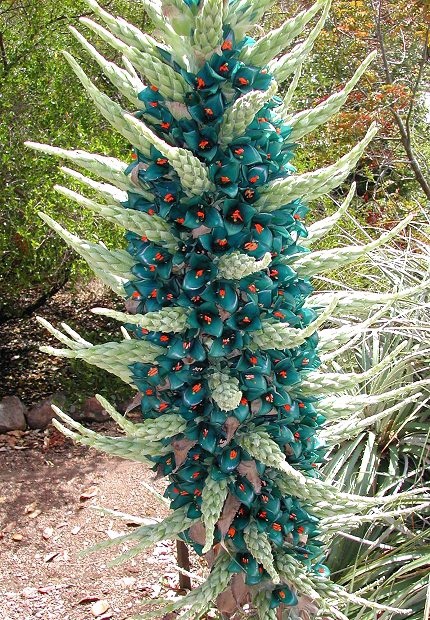 The 'Pricklies', Dyckia, Orthophytum & Puya - Show and Tell: bring your plants for discussion. Peter Tristram on Hybridising Neoregelias. Commentary on Mini Show tba. Next Month May Meeting Practical Session: Q & A with Tom Isaac, Barry Kable and John Olsen. Bring your questions for three experienced members to answer. 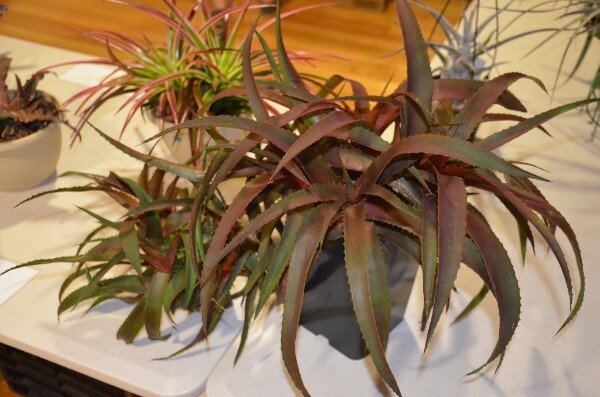 Steve Flood on Tropical Foliage Plants that Complement Bromeliads.